My non-fiction short-story, Holding His Hand, is published in A Second Cup of Hot Apple Cider. 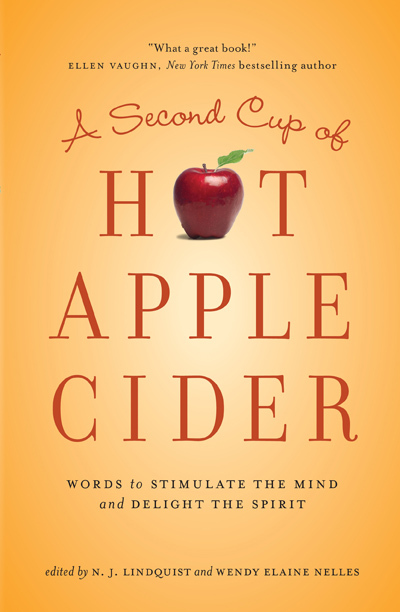 Hot Apple Cider – the book – is a best-selling inspirational anthology with 45,000 copies in circulation. The sequel, A Second Cup of Hot Apple Cider, was released on May 1, 2011. Both books make terrific gifts for someone in need of a little encouragement, or great reading for those who enjoy a variety of stories written by “real” people with real faith. If you’d like to purchase a copy, they are available for $20 plus shipping. Just drop me a line and I’ll send one off to you!